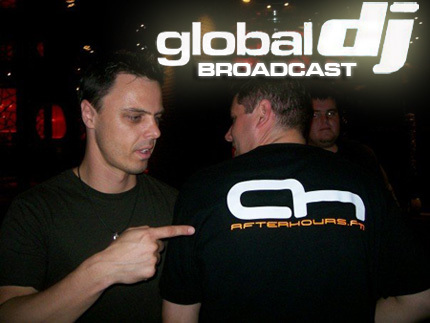 Tune in to the Global DJ Broadcast World Tour, this month featuring a 2 hour set by resident mixologist Markus Schulz, recorded live from The Gallery at Turnmills in London. The city of London will always have a special place in Markus Schulz’s heart. It was a two year period at the beginning of the decade where Markus lived in a studio on Coldharbour Lane in Brixton, where all the elements he was searching for musically came to fruition, hence the multiple Coldharbour references in Markus’ remixes and subsequently, his label name. One of the staples of London’s dance music scene was Turnmills, a club run by resident DJ Tall Paul Newman and his brother Danny. Sadly at Christmas time it was revealed that Turnmills would be demolished and replaced by office blocks, ending an era where so many DJs carved their careers in an intricate venue. Markus was fortunate to have played at Turnmills several times over the past number of years, but on Friday February 15th, it would be his last. To make the occasion that little bit more special, Markus decided to make it the next destination for the Global DJ Broadcast World Tour. Be sure to tune in for a memorable set, with some new and exclusive Coldharbour Recordings material, and some surprises as Markus said goodbye to Turnmills. You can now vote for your favourite track played by Markus each week on the Global DJ Broadcast in the MarkusSchulz.nu Global Selection Poll. Each week the winner will be announced on the broadcast. Guests are allowed to participate in voting, however, we encourage you to register on both the mainsite and forum. Last edited by Vicky Wood; Mar 6th, 2008 at 08:09. But nothing is lost, the Gallery will announce soon their new place and we can continue to see the parties with big Dj's,. But a new page will be turn and for sure the new place will be great in the future. Im not gonna miss this show for the world... a friend of mine went to this gig and said it was an amazing set, just wish i could've been there! Last edited by JayCan; Mar 6th, 2008 at 19:04.